I noticed this stoneware amongst the bric-a-brac. Could it be a Pampered Chef pie plate? Even better. 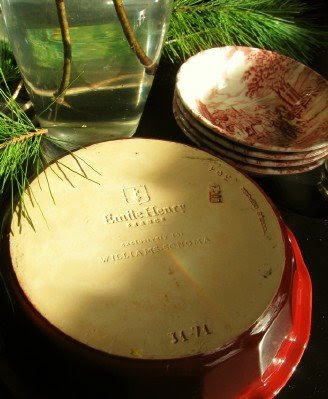 Williams-Sonoma's Emile Henry line, in the deep dish size I needed. I told my mom to cross my name off her Christmas list--and for only $2.99, we were both thrilled. It's been a while since I shared any serendipitous finds. This week, I'll show how I've collected holiday and baking supplies for pennies on the dollar. What an awesome find - and it worked out wonderfully for you both! I ADORE Emile Henry bakeware. I never thought Pyrex could be improved upon. Until I registered for these dishes. I have 4 - loaf pan, oval baking, 2 medium rectangles (great for making multiple side dishes) and large rectangle, all in blue. I might or might not have chosen colors for my kitchen based on these dishes :-) And they're so easy to clean. What a great find! What a steal and it is such a pretty color too. I just love seeing what you find!! Roxie, we love Old English, too! It's one of my mom's favorite products. Great find! My daughter and I went to Goodwill on Black Friday and got a few books. We didn't step foot into a mall or big store! My last few trips to Goodwill haven't resulted in any treasures like that. But that's okay. I'm trying to declutter. Perhaps one of my giveaways will become someone else's treasure. Before anyone rushes out to the local Goodwill, however, I'm sorry to report that I don't have a single Williams-Sonoma dish to donate. Once I found a set of 6 pressed glass corn on the cob holders. I don't NEED them, but it feels so nice to use them. Plus, I use them for little relish dishes or cracker holders too. I love thrift storing. Meredith you fine such treasures. I look occasionally. Not often since this mom and grandma is downscaling. You continue to amaze me. I did find a pair of Gap corduroy slacks - size 4 - last week for $3. I thought that was great. 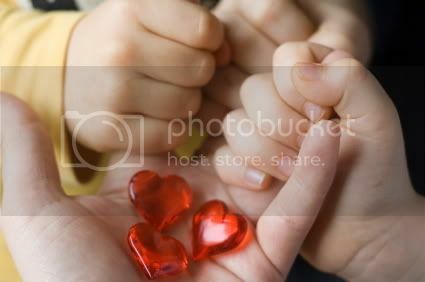 Take care!!! Ooooh la la! Very nice indeed. What a find! I'd love to find one of those; I'm looking for something similar. are doing posts like this again! I agree with Martha that these are some of my favorite posts that you do. I never cease to be amazed at the kinds of things you find at the thrift store. Thank you so much for posts like these- they're a great encouragement! PS- I am still wondering if you were able to come up with a good idea for your husband's workplace for fifty-cent gifts. Any ideas yet? What a wonderful find. Hope you get many days of joy from it, and make lots of deep dish apple pies (my favorite). As my friend Michelle said today, "You're not gonna win in this situation." I can't come up with something--on any budget--that will please everyone, so I'm just going to do my best. If I can, I'll share what we do. The kitchen section is the first place I go when I hit the Salvation Army. I've found great stuff. My latest favorite actually came from a yard sale: the mini-stoneware bar pan from Pampered Chef. Love it. Wow! What a great find! I really like WS stuff. Beautiful find! Your thrift shop adventure posts are among my favorites. Love Emile Henry, my husband brought me some EH ramekins from a business trip to Canada years ago and I use them almost every day. The toile bowls are beautiful! Thanks! 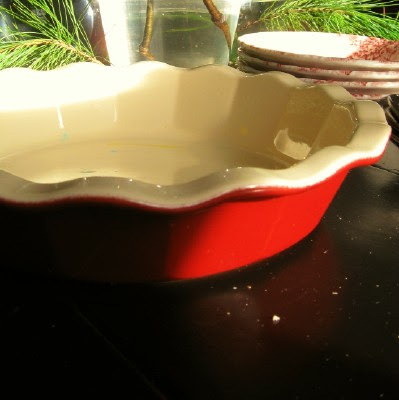 I have a small set of this red transferware I like to use in the winter, and everyone always asks about it. It is from Big Lots!!! My mom and I saw it on an endcap the year before I married. We paid $10 for a 4 setting box. I think we bought 3 boxes to share between us. It is the brand Churchill from England, though you often find this brand in grocery/discount type stores. NO WAY!!! I can't believe you scored that pie plate. Way to go! OH MY GOSH MEREDITH! GREAT FIND! How did you get such luck in finding all of the good stuff at GoodwillS? After I read your posts I was so inspired and told my hubby that I will go goodwill shopping to save more money. I was in the place for only 10 minutes and I had to leave. Not sure what it was. Was it because I have my 10y/o and my baby with me? or because of the smell or the cluttered looking in the store that just turned me off. I love what you wrote about loosing the entitlement and live a frugal happy life, but it seems so hard to do. I already tackled my grocery area and clothings. But in other areas, like home furnishing and kitchen needs ( I am currently searching for a set of white dishes that are not mde in China or overseas, but have no luck finding it yet). Meredith, could you tell me what's the difference between thrift shop/consignment store and Goddwill and salvation army? Thank you for your sharing your joyous living attitude. It is so refreshing and encouraging.